Lawrenceburg Community School Corporation’s Mission is to provide academic excellence to all students, preparing them for post-secondary opportunities in the changing global economy. 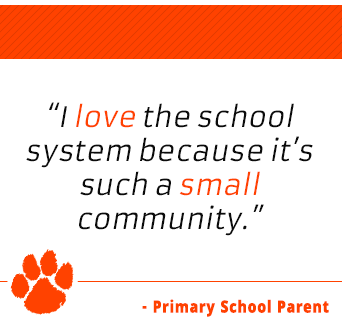 From full-day kindergarten to rigorous academic courses at the high school, staff are dedicated to see that learning occurs in a safe, nurturing instructional environment that is focused on the whole child. Lawrenceburg School Corporation is home to about 2,000 students in kindergarten through high school. We are dedicated to helping each student reach his or her academic and personal potential. We believe that all students deserve an education from highly qualified teachers who are well-trained in research-based instructional strategies. Our teachers are capable of fully engaging all students in learning, no matter their ability level. As a testament to that, our corporation earned an "A" letter grade from the IDOE, and our students consistently score above the state average on the Indiana Statewide Testing for Educational Progress Plus (ISTEP+).